Espresso Macchiato, Latte Macchiato, Caffè Latte: sounds same same – but it´s different. 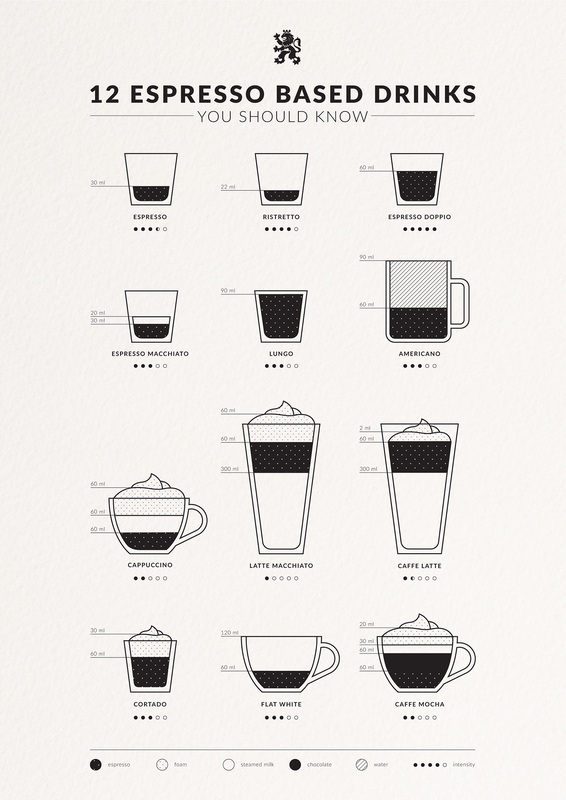 With our infographic about 12 essential espresso-based hot drinks, you´ll never put a foot wrong! Does this sound familiar? You enter a coffee shop; the menu is enormous but the queue is far too short for you to make sense of the 25 different coffee creations on offer. You’ve barely had chance to ask the barista for some advice when a group of thirsty tourists comes in behind you. Under pressure you order something – just not exactly what you wanted. Tip: Print out the infographic and stick it on your fridge. This way you’ll learn the coffees without even realizing that you’re doing it.